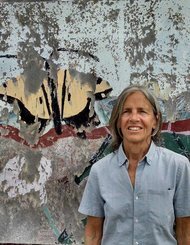 Prolific and widely renowned, Eileen Myles is a trailblazer whose decades of literary and artistic work "set a bar for openness, frankness, and variability few lives could ever match" (New York Review of Books). This newest book paints a kaleidoscopic portrait of a beloved confidant: the pit bull called Rosie. In 1990, Myles chose Rosie from a litter on the street, and their connection instantly became central to the writer's life and work. During the course of their sixteen years together, Myles was madly devoted to the dog's wellbeing, especially in her final days. 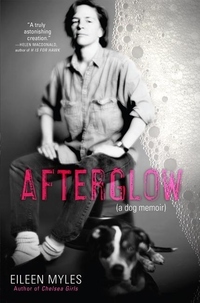 Starting from the emptiness following Rosie's death, Afterglow (a dog memoir) launches a heartfelt and fabulist investigation into the true nature of the bond between pet and pet-owner. Through this lens, we witness Myles's experiences with intimacy and spirituality, celebrity and politics, alcoholism and recovery, fathers and family history, as well as the fantastical myths we spin to get to the heart of grief. Moving from an imaginary talk show where Rosie is interviewed by Myles's childhood puppet to a critical reenactment of the night Rosie mated with another pit bull, from lyrical transcriptions of their walks to Rosie's enlightened narration from the afterlife, Afterglow (a dog memoir) illuminates all that it can mean when we dedicate our existence to a dog. Eileen Myles - "Afterglow (A Dog Memoir)"